If you use Squarespace, follow one of the sets of steps below to add the Zopim widget to your site. From the left hand side nav in Squarespace, click Settings > Website > Advanced. 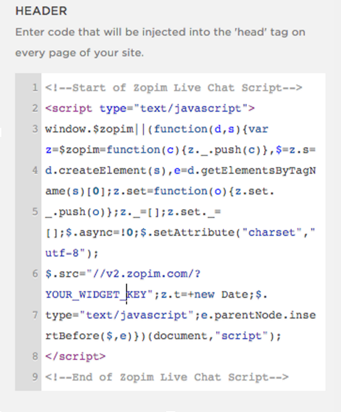 Enter your Zopim embed code. Click Save to apply the changes. The widget now appears on all pages of your site. From the left hand side nav in Squarespace, click Pages. 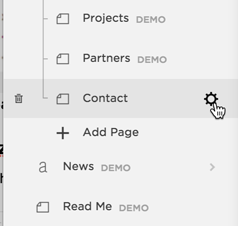 Click the gear icon next to the page you want to edit to open the Settings window. Click Advanced on the upper right side of the Settings window. 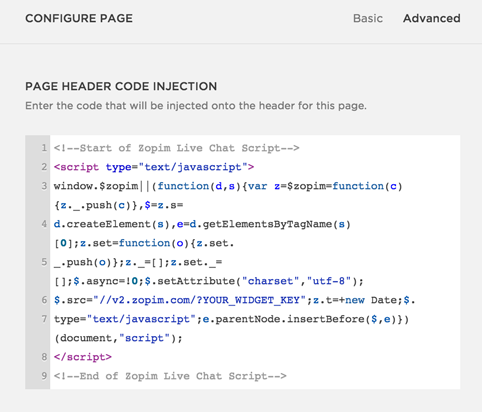 Paste your Zopim embed code under Page Header Code Injection. Click Save to apply the changes. The widget now appears on the selected page of your site.